Ajinkya Madhukar Rahane infuriates people. He infuriates people when he fails with the bat (“Bring in Rishabh Pant”). He infuriates people when he scores runs (“Too slow. Bring in Rishabh Pant”). He even infuriates people even when he scores quick runs (“He will slow down next time. Bring in Rishabh Pant”). The least outwardly-aggressive player in Virat Kohli’s aggressive Indian team possibly infuriates people the most. 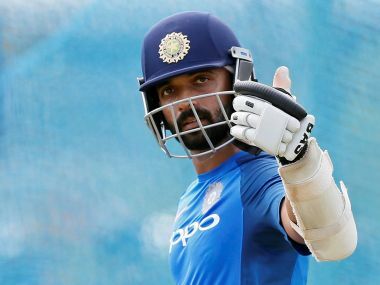 It didn’t take long after his dismissal on Sunday afternoon — a loose shot to a wide, swinging ball — for social media and some media outlets, to call for the closure of the curious case of Ajinkya Rahane. Curious because of the contrast between the standing he enjoys in different formats. In the Test side, his presence at No 5 is reassuring, and with his mutable skills can build a partnership as well as tackle the second new ball. He is Kohli’s vice-captain, and has acquitted himself admirably when asked to lead India in a tense decider in Dharamsala earlier this year. His runs have earned him certainty of place, clarity of role, praise from his captain, and security of mind. But in limited-overs cricket, the uncertainty over his position could give Heisenberg’s Uncertainty Principle a run for its money. Axed from the T20 team despite (perhaps for) making steady runs, he has not held down a regular place in the ODI team either. While his Test career has set firm roots in the ground, his limited overs career is being pruned. Unlike the likes of Cheteshwar Pujara and Kedar Jadhav, Rahane has shown the skills to be an all-format player. 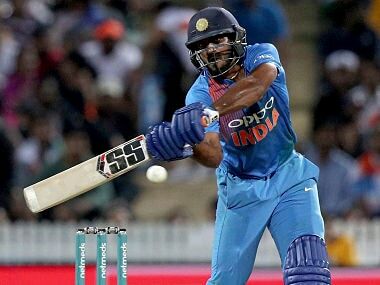 “I feel that he has the capacity to adapt to all three formats,” said Rahane’s coach, former India cricketer Pravin Amre. “This era is different. Before it was just Tests, then ODI, now there are three different formats, they have to adapt in a short time. That is one of the challenges, that is the area to work,” he said. Having batted at the top as well as the middle order for India, Rahane has, in the last year or so, finally been given a clear role (third opener), only for it to take him outside the XI. In this period, Rahane has had two full series at the top of the order, against New Zealand at home last year (143 runs at 70.79) and West Indies away (336 runs at 77.06), winning Man of the Series in the latter. 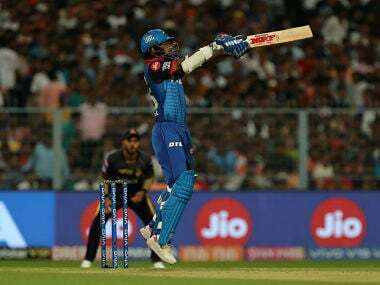 “We certainly back him because he has been shifted around a bit in the batting order, which is not healthy for a guy who likes to open in the shorter format,” Kohli told Cricbuzz last month. “This home series is important for him because the opponents are good,” said Amre. “Australia have a strong bowling attack, they are a professional team, it is important for his confidence to have runs behind you against a good team.” But there is a strong case for Rahane’s retention in the team as a third opener, even if he fails to score big in this series: his away record, and India’s schedule leading into the 2019 World Cup. With series against New Zealand and Sri Lanka at home on the horizon, the temptation to drop Rahane can be as strong as the short-term logic. 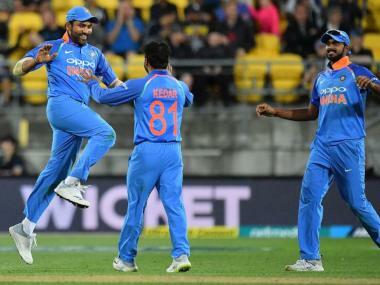 But the Indian team management is already talking about their combinations for the 2019 World Cup in England, which suggests their team selections are not likely to be myopic. In 2018 alone, India are slated to tour South Africa, England and Australia, with a trip to New Zealand in 2019. Rahane has a Test average of 69 in South Africa, 57 in Australia, and 54 in New Zealand, besides 33 in England. Now you may ask what does a Test average have to do with his ODI place? The answer is the recent trends in ODI batting. A full two decades after Sri Lanka pioneered the policy of taking advantage of the early fielding restrictions, teams have now moved to the other end of the spectrum. Today, most teams are happy to employ a cautious approach in the first 10 overs, being content with scoring four an over, keeping wickets in hand. This was especially true in the Champions Trophy, with English weather and conditions exacerbating that approach. In the five highest scoring matches in that tournament, only three out of 10 times did teams score more than 50 runs in the first 10 overs and only twice did they score more than the average tournament run rate of 5.33. Acceleration typically occurred in the last 20 overs of the innings, especially if a team has not lost too many wickets between overs 11 to 30. Rahane’s game (a career strike rate of 78.15) is suited to this policy. As India showed in Chennai, there is depth in the batting, explosive hitters who can push the pace of the game towards the end. Those players need a base to blast off from though, and Rahane’s more circumspect approach at the top of the order, when the two new balls are most dangerous, could be ideal. Should either of the pairing of Rohit Sharma and Shikhar Dhawan struggle, Rahane is a good fit to replace them. In fact, in bowler-friendly conditions away from home, his experience might actually make him a better option. So, infuriating as India’s persistence with Rahane might be, and infuriating as his lack of consistency might be, when India travel away from home, that rage could turn to relief.